The natural cycle of life leads us to the reality of living it accordingly including the years of aging. What we just want to do next is to feel active, feel important and make our body a mirror reflecting youthful hearts and minds. This is where botox or botulinum toxin comes in, which is considered one of the most significant chemical substances for facial rejuvenation. It marks as the most notable means of reducing facial wrinkles as it helps smoothen your skin and treat crows feet, neck skin bands, frown lines and forehead furrows. Basically, botox is specifically designed for medical purposes including unnatural muscle spasm control. It is only recently that it became well known in cosmetics with fatal risks. This is the main reason why proper consultation to your doctor is necessary to prevent life-threatening paralysis. Botox blocks signals of aging right from the nerves down to the muscles stopping the injected muscle to contract, which softens and relaxes wrinkles. The effects of the drug may last 3-12 months depending on what it treats. Your wrinkles and lines usually appear less severe as time goes because your muscles are trained to relax. 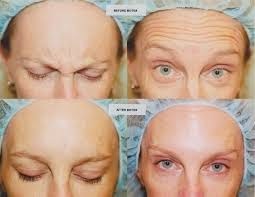 Meaning to say, botox does not last for so long and expect that wrinkles will return after 6 months or over. Swelling, bruising or pain are the usual adverse reactions of the drug. You may also experience its symptoms such as upset stomach and headache. Temporary drooping of your eyelids can be attributed to ted facial injection of botox. During the procedure, it is highly recommended you get a professional or expert surgeon in this field to perform the surgery since it really is delicate. Make sure to assess your health condition first before going to any clinic or medical facility for botox. Make certain that the surgeon to attend to you is specifically trained for the procedure to prevent your face to look worse. Bear in mind that botox is not a drug specifically developed for wrinkles treatment. It is the kind of drug approved by FDA and with minimal side effects and risks. However, botox is definitely not good for pregnant women of those who are breastfeeding. Individuals suffering from neurological disease are forbidden to use the drug because it does not work for all issues associated to wrinkles. Botox is also covered by insurance policy, which can vary based on the medical needs of patients.